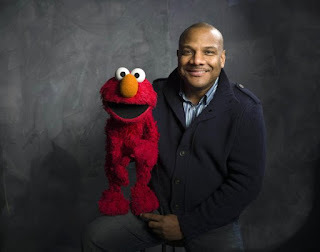 The man - whose name hasn't been released - is now 23 and claimed Kevin Clash had a sexual relationship with him at the age of 16. When the news broke, it initially brought Clash a world of trouble as he is the voice behind one of the most popular childhood shows. Lawyers representing Clash, 52, said the relationship between the two was a consensual adult relationship. In a statement Tuesday, Clash said: "I am relieved that this painful allegation has been put to rest. I will not discuss it further." An inquiry by Sesame Workshop concluded that the claims against Clash were unsubstantiated. Clash, who has been the voice of Elmo for nearly 30 years, acknowledged a relationship with the man but said they were adults at the time. "I am a gay man. I have never been ashamed of this or tried to hide it," Clash said Monday, announcing he was taking a break from the show to deal with the allegation, which came to the company's attention back in June. Crazy! We all know nothing good comes from lying, so hopefully the matter will be resolved peacefully and Clash can get back to work.